Work is underway in Barentsburg, a Russian settlement on the Spitsbergen (Svalbard) archipelago, to establish a Russian research center. The center's coordinator is the Arctic and Antarctic Research Institute (AARI) of the Federal Service for Hydrometeorology and Environmental Monitoring. 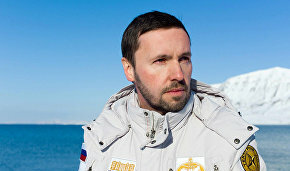 In an interview with arctic.ru, AARI Deputy Director for Research Alexander Danilov explained what the center will be doing and how research will be organized. A permanent Arctic expedition will work in Barentsburg on the Spitsbergen archipelago and a scientific center is being established there. What will the center be doing? The center will effectively continue and develop the research that Russian scientific organizations have been conducting on Spitsbergen for quite a long time now, especially over the past 10-12 years. The research covers all aspects of the natural environment. These include the polar atmosphere and magnetosphere, which is the domain of our colleagues from the Polar Geophysics Institute of the Russian Academy of Sciences Kola Scientific Center. Atmospheric studies are conducted by the AARI. Glacial studies on Spitsbergen are interesting and important, especially amidst the changing climate conditions. Climate changes have the most noticeable and pronounced effect on glaciological structures. Naturally, the center will deal with the marine environment, the Spitsbergen coastal waters, biological problems, both marine and land problems and geological matters. Our geologists also work there. The status of the environment is another component: there is also environmental pollution there. Archaeological work is in progress. A small but interesting museum has been created. This area is quite a long way away from our borders but it is interesting scientifically. The impact of the Atlantic Ocean is the most noticeable on Spitsbergen and climate changes manifest themselves there before they do elsewhere. There is no dearth of scientific issues to deal with here. This year, a scientific program was adopted incorporating research by Russian scientific organizations from various agencies. Other than science in Barentsburg, Russia produces coal and is developing tourism. 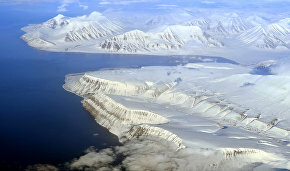 In short, our country engages in an increasing number of activities on Spitsbergen. 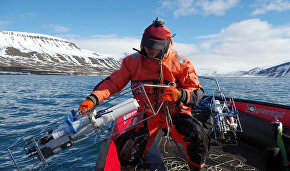 Scientific research, however, stands out, above all, because scientists from other countries, primarily Norway, work on Spitsbergen and they have a powerful scientific infrastructure there. This provides excellent opportunities for scientists to cooperate with [their colleagues from] other countries. What has already been built at the scientific center? Significant progress has been made over the past several years and as a result, we have a good scientific infrastructure on Spitsbergen archipelago. 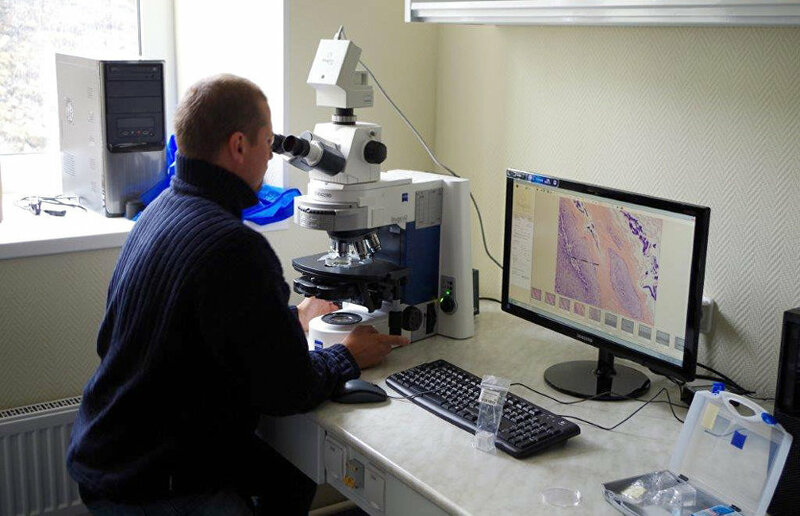 The Russian scientific center has new laboratories and residential buildings for researchers. There is a good chemistry unit with modern, effective analytical equipment. It features a wonderful satellite data reception, processing and transmission facility that helps us get a better view of the Arctic. Satellite data are in high demand. This is not only because Spitsbergen itself but because we have a wonderful view of the Barents and Kara seas and the Central Arctic. In addition, the center includes what is known as scientific test grounds — geophysical, ecological, cryosphere-hydrological, oceanographic and meteorological. There are good transport facilities: small boats, ATVs and snowmobiles, which allow scientists to move around between their observation points. The center is expected to operate around the year. Today, however, we are at the initial stage of its development and its capabilities and resources are not being tapped to the fullest extent possible yet. It is essential that as many scientists as possible work at the center year-round (mainly, of course, during the warm season). How many researchers will there be? Up to 100 people in the summer and up to 25 in the winter. Right now, in the winter, we are effectively putting the center into hibernation mode. There will simply be people who will see to it that everything is okay. Some research projects will be mothballed. Will foreign specialists be invited to work at the Russian center? Yes, of course. Russia already participates in a number of international projects on Spitsbergen and our goal is to expand our participation, using Norwegian infrastructure, among other things. Frankly, they have more opportunities, as Norway is investing heavily in Spitsbergen. We expect that not only Russian but also foreign scientists will use the center's infrastructure. When do you think the center will be up and running at full capacity? I believe that this will take several years. Certain organizational measures have yet to be implemented. The center as an organizational structure is a kind of consortium that involves various ministries and agencies: the Federal Service for Hydrometeorology and Environmental Monitoring, the Academy of Sciences and the Ministry of Natural Resources, among others. This is a new structure and so it will have administrative, scientific supervisory and expert bodies. All of these essential elements are still at the developmental stage. Our institute will coordinate the center's activities. We will collate projects and proposals, facilitate the work of research groups from various scientific organizations on Spitsbergen, formulate a program and report on its implementation. Everything will also depend how Arctic research projects and the center's activity will be financed and the amount of funding that will be provided for the center in 2016. Funding has been earmarked in the Russian budget but we will have to see how things turn out in reality. We have high hopes. Naturally, if significant funding has been provided for creating the center, this system will work and develop. However, under the present circumstances, I am unable to say how soon. Needless to say, what has already been done is a major achievement in developing the Russian scientific infrastructure in the Arctic.